Tomorrow, January 1, many churches will celebrate either the First Sunday after Christmas, or observe the Epiphany five days early. But some, like my parish, will address Shakepeare’s question by celebrating the feast of the Holy Name. Once known as the Feast of the Circumcision, the fact that this day is marked on the church calendar reflects the importance of the Jewish naming rite for male babies, which occurs eight days after birth and thus on the church calendar always on January first. It also signifies the importance attached, for Christians, to the name “Jesus”. Mary and Joseph had each been visited by an angel, who told each one of the coming birth and its significance. Oh, and one other thing: “You will call him Jesus.” And so they do. (One does not, after all, argue with an angel!) The actually name would have been Joshua, or Yehoshua, of which Jesus is the Greek version. The name means God is salvation. Mary’s son was not the first or last to have that name – it was most likely even the first name of Barabbas, the prisoner released by Pilate when Jesus was arrested and condemned to death. But for Christians this Jesus of Nazareth, who is called the Christ (the Messiah or “Anointed One” - a title, not a name) is the Incarnate One who took on our humanity in order to show us God’s salvation. We call him many, many things - savior, Son of God, Lord, master, rabbi, King of kings, Lord of lords, Lamb of God, Bread of Life, True Vine, Good Shepherd, Logos, Alpha and Omega – and so many more. And so he is, all of those things. But it is the name of Jesus that defines his humanity as one who, according to Paul, “was descended from David according to the flesh", it was as Jesus that he identified himself to Paul on the Damascus road, and it is at that name the letter to the Philippians bids every knee bow. Jesus. The name of the One who came among us to share our fragile humanity, the One by whom we know God. It is this that we rightfully celebrate on this eighth day of Christmas. 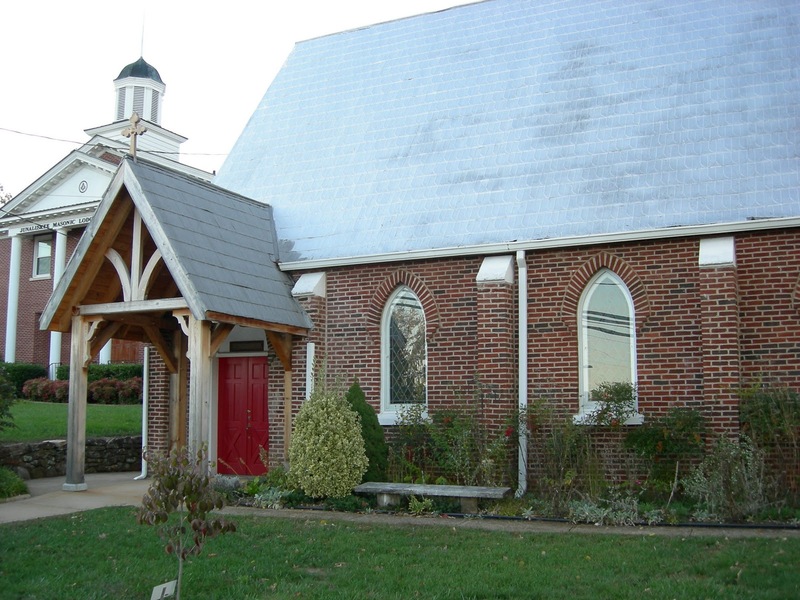 All Saints’ Episcopal Community was formed several years ago in Franklin, North Carolina when the two churches of St. Agnes and St. Cyprian, both founded by my great-grandfather, united for common worship and mission. 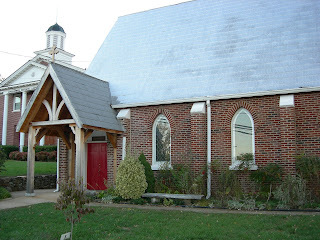 St. Agnes was founded first in the heart of town. 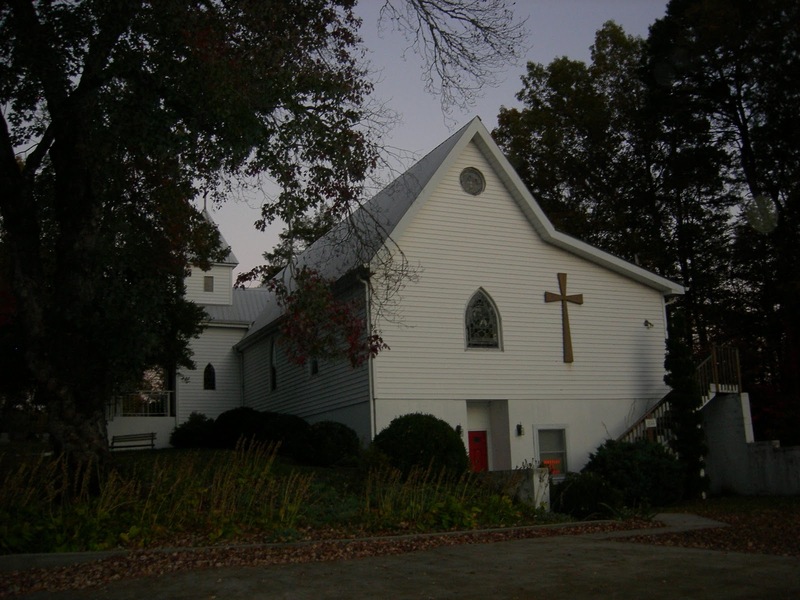 It's the church where my paternal grandparents were married, and where my father was baptized and grew up. Those were the sad days of segregation, however, and when the Rev. John Deal realized that there was no Episcopal congregation for people of color - blacks and Native Americans (mostly Cherokee) - he founded St. Cyprian’s. When it became apparent that neither parish could sustain a full-time priest, the process of deciding whether or not to align the two congregations began. (St. Cyprian's had begun the process of intentional integration some years prior.) Several years ago a decision was reached and a new priest was called to serve both parishes. ASEC alternates its weekly liturgies between the two churches. Merging two congregations is not as easy as it might sound. Many struggling parishes will vote to close rather than combine with another, even when such a partnership might give them a chance at new life. Communal identity is important; our buildings, our liturgical style and corporate piety, as well as our common memory, are all built into our vast sense of parochial “selfhood”. When churches are physically close enough to make such a merger feasible, their very proximity is often the result of two congregations in the same denomination not only wanting and expecting different things, but up until recently having sufficient resources to get them. I’m sure the process that resulted in the formation of All Saints Episcopal Community was thoughtful and prayerful, but also fraught with fear, reluctance, and probably some anger. It was no doubt very hard work. There was change, and with that change did come death of a sort. But it was the kind of death that leads to resurrection. Some of the members I spoke with still identify themselves as “Agnes” or “Cyprian”, but not in a way that sounded defensive, proud, or resentful. They are clearly committed to being Christ's hands and heart in this southern mountain town. My husband and I just returned from a trip to Macon County, North Carolina. As a priest currently on a two-month sabbatical from the parish I serve, one of my goals during this time away has been to get better acquainted with my forebears on father’s side, especially as they have influenced my life in the Church. 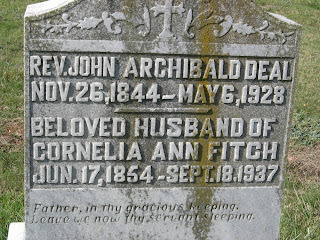 My great-grandfather, John Archibald Deal, was a priest and missionary in that mountainous region of western North Carolina. This was a heritage very special to my father; he lovingly recounted this family history when I was a girl, and we made several trips to the South from our home in Ohio (my father was a very reluctant Yankee!) to see friends and by then elderly relatives, my grandmother and her sisters chief among them. But that generation died out, my father got older and less inclined to travel; I grew up. Over time the call to serve God as a priest in the Church became clear (I’ve often wondered if it isn’t genetic) and eventually I was ordained. I inherited many of my great-grandfather’s prayer books. And I developed a desire to get to know more about him and become familiar with the five churches he founded during his time in that mountain region that surrounds Franklin, where he was based and where my father and his brothers grew up. Hence our recent journey south from our home in Chicago. We saw five churches in three days, visited with rectors and church members, and enjoyed beautiful weather, gorgeous colors, and stunning scenery. 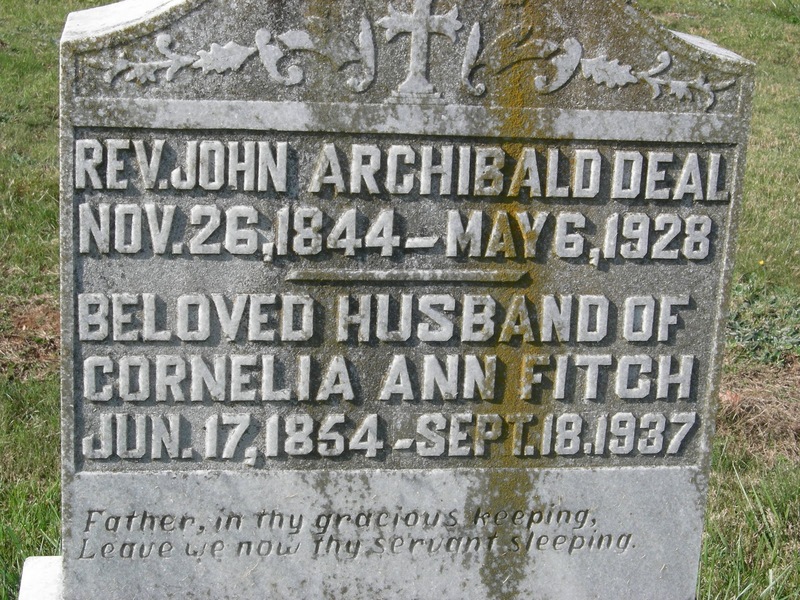 We found the graves of many of my relatives (one of which is shown below). All Souls’ Day seems the appropriate time to begin these reflections on my heritage and its influence on my life and vocation. I invite you to join me!